Companies hire office leasing brokers for a lot of different reasons, but few choose brokers for what really counts: understanding and articulating (in writing) what’s driving the local and national economy and using that knowledge effectively during lease negotiations to extract greater concessions from landlords than other brokers can. We’ve been bearish for over two years, a rather unpopular opinion within the landlord and brokerage community 12-24 months ago. Now, everyone is a believer. If Management of your company is led through negotiations by a broker well-grounded in the fundamentals of supply/demand economics, one who can argue sensibly and aggressively with the landlord community—your leasing transaction results will stand head and shoulders above other transactions negotiated simultaneously by other tenants. Landlords must be compelled to provide concessions. If your broker is distracted by conflicts; underpowered relative to the professionals on the landlord’s side; effectively diluted by trying to handle too many deals at one time; you will pay the ultimate price by locking in a long-term losing transaction. If you didn’t hire a well-equipped, highly experienced, shrewd negotiator to conduct your space search and negotiations on your last round, please give us a read: We’ve been publishing our advice to tenants and market opinions for 10 years. Our 40 letters of recommendation also speak to our level of advocacy. We act as your fiduciary; advancing your interests, saving and making you money and creating aggressive concessions for you are all paramount. The published losses and write-downs in the lending and investment arenas are staggering. The press and legislators are transfixed over the subprime crisis. But 70 million American homeowners have adjustable-rate mortgages turning within the next few years. The credit problem is far greater than a subprime blip. Will the end-investors sit quietly while returns tank? Hardly. Billion dollar lawsuits will follow. We’ll begin to hear more reports on the sea of leveraged acquisitions of commercial real estate around the country—acquisitions founded on flaky underwriting. What could be flakier than “conservative investing” in highrise brick and mortar based on rents which don’t exist in today’s market? It was a year ago that we wrote: “Credit-Pandemic: More Bad News You’ll Soon Forget”…but the financial apocalypse that has swept the planet has rooted itself more deeply than anyone fathomed. All the pundits have shown up to be counted—after the fact—to explain the obvious, how we got here. To CEOs and other business owners trying to deal with today’s calamities and tomorrow’s plan, to what end are any of the explanations without an understanding of the credit markets, the banking system and the unregulated $60 TRILLION credit default swap market? The utter confusion in Washington is broadcast 24/7 for all to see. Financial and other industries have not only seized; the economy has no legs to stand on. Investors and consumers don’t understand the root of our economic woes; worse, they don’t understand the questions. How can our government bring stability to an economy grounded in quicksand?! Some economists are still taking air time to debate whether or not we’re actually in a “recession”. How foolish. 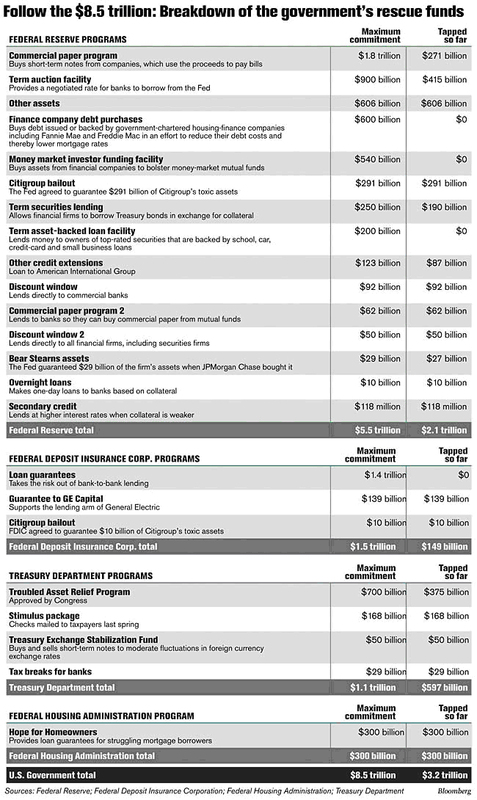 Trillions of dollars of prospective bailout money is on the table; Detroit’s stalwarts are going broke; many of our largest banks, retail chains, insurance companies and mortgage companies have failed; millions are losing their jobs as unemployment rates head to 15%. In the world of commercial real estate, the days of reckoning for the landlord community have arrived—and it’s particularly ugly. For tenants (100% the focus of our representation business), the proverbial door is wide open —as needed— for early renegotiations; the return of lease assumptions; growing incentives to cover buildout costs, including allowances for architectural fees, moving expenses and other soft-costs; and reductions in securitizations for leases. Here is our advice to the tenant community: “Advice to Tenants: How to Survive the Big Ugly”.http://www.thespaceplace.net/news/20081029-bigugly.htm. We hope that you’ll find our advice to be extraordinary. If your company can use our leadership, please let us know and we’ll respond immediately. With thanks to Bloomberg for the chart following, here is a recent graphic portrayal of who is to be rescued, bailed out, guaranteed, stabilized, etc., and to what extent. At this magnitude, is it appropriate any longer to call these “rescue funds”? Perhaps we should call them “generation funds”, since we appear to have hocked our economy for generations to come. If the bill soars another $15-$20 trillion, will the gov just print it? Fears of inflation to the wind, the global “solution” to the financial collapse is to flood the planet with money. But until you get yours, if ever, you’re on your own. The free-market landscape in the U.S. has been upended. This defines the belly ache amongst most of us. Our business paradigm has changed; all assets are being re-priced—including human assets. Market-purists understand this notion: Never say “The market CAN’T ________”. The market WILL seek its own level according to fundamentals. Down to earth in local San Francisco commercial office space, what is space worth? Well, tenants, what can you afford? At what rental rates and terms can you ASSURE your board, partners or shareholders that your business will survive and grow? THAT is what space is worth. We envision rental rates drifting back to those years when the TOP of the market was $40/s.f./year, fully serviced, for unobstructed Bay view space. Somewhat akin to the WOT (War On Terror), from our seats in the San Francisco Bay Area, many among us have not fully grasped the carnage on the financial battle fields of Wall Street, London, Berlin, Tokyo, and elsewhere. That is, until now. In our negotiating experience, we’ve oftentimes revived “dead” deals.to everyone’s surprise. Consider some of the airlines and others who’ve emerged from Chapter 11 to live again. But “double-dead” is dead forever, and so expired Bear Stearns, Lehman Brothers, Merrill, WaMu, Wachovia, IndyMac, Countrywide, Downey Savings, National City Bank and scores of other majors around the world. Then fell Heller Ehrman and Thelen, two of San Francisco’s most revered law firms. The press has uncovered testimonials from former partners and staff, surprised and saddened by the turn of events. But we didn’t notice any analysis into the leveraging upon which these businesses evolved and finally imploded. Were there not remarkable similarities between the failures of all of these business entities? Virtually all of us are touched, locally, by the fallout. Market dynamics will crush every credit-amped business. Your company’s raison-d’être depends on removing speculation from your business plan. But too many companies are already in too deep. Citigroup and GE required bailout funds.unimaginable. Citigroup lost over $20 BILLION during the past year and have written down more than $50 BILLION in bad loans during that period. The Dutch bailed out ING with over $13 BILLION. The Big Three auto companies are about to run out of cash.and do you believe their problems are centered around Detroit? 190,000 people in California work in the auto trade, second only to auto jobs in Michigan. Retail, multi-housing, office and speculative development is essentially dead. Investment banking, as we knew it, is dead. Service firms ancillary to those and other troubled industries are struggling to reinvent themselves and new client bases. Did your commercial leasing broker and their firm knowingly misrepresent the stability of the market as they led you through negotiations to sign a now grossly- over-“market” lease? In 26 years of representing tenants in leasing negotiations, I don’t believe this question has been asked around town. But with all the scandals from Wall Street (thinking as far back as Milken) to the White House (Nixon and many others come to mind), one should wonder how it is that the industry of commercial real estate transactions is so utterly unregulated (tenants are really in the dark). Is it possible—or likely—that a leasing broker in a brokerage firm so beholden to so many landlords could negotiate an extraordinarily beneficial deal for a tenant-client? Think about it.